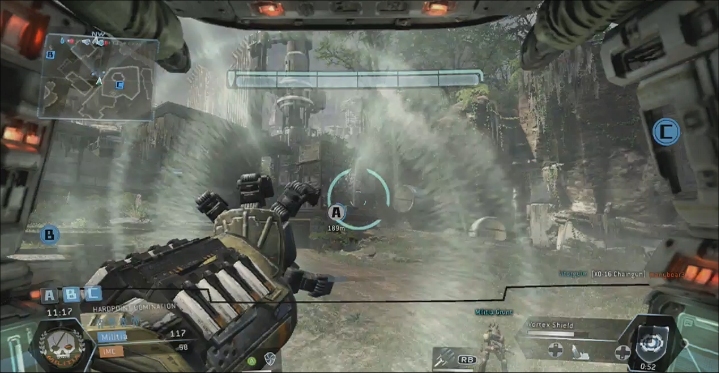 A few screenshots and videos have emerged for the Xbox 360 version of Titanfall. A lot of gamers have been questioning how the past-gen game will compare to its new-gen counterpart. 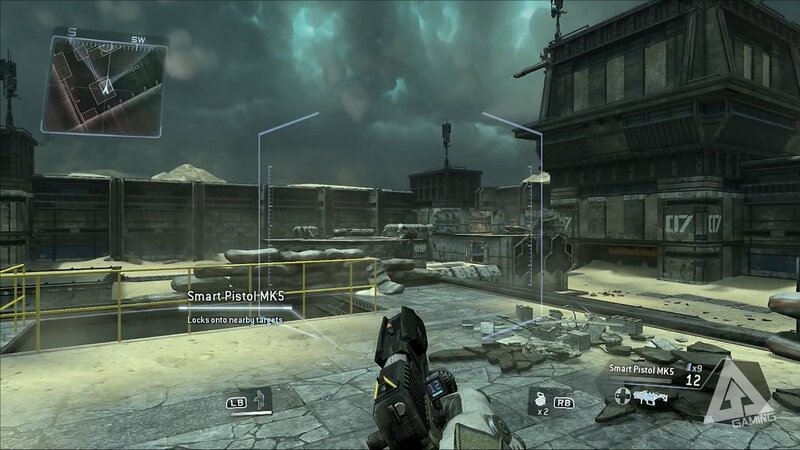 MP1st managed to get their hands on some images and videos of the early, street-broken version of Titanfall. The images clearly show that there are differences between both the Xbox One and Xbox 360 version of the game, but not quite in the way that you think. Check them out below. 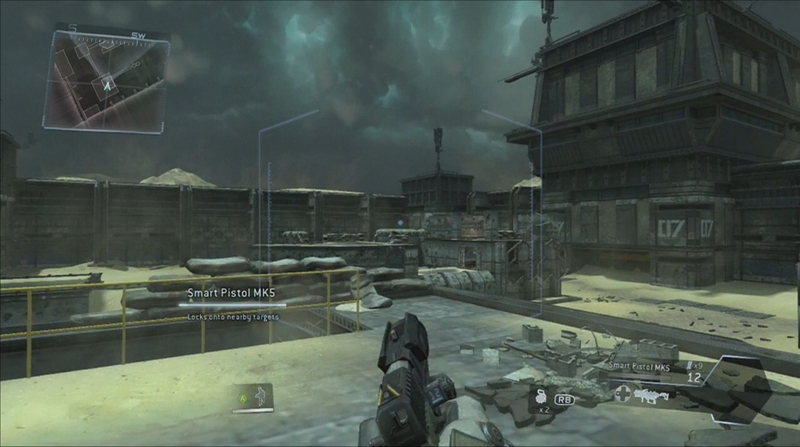 The top image is from the Xbox 360 version and the bottom image is from the Xbox One version. It's blatantly obvious you can see that there's more than 60fps being taken off the counter for the 360 version of the game. The texture resolution has been downgraded by a significant margin, and there's some slight modifications in the geometry of the titans. You can further see the downgrade in the texture resolution and some slight muddiness in the visual filters with the two images below. It's hard to tell, but – based on the images – the screen resolution of the Xbox 360 looks to be slightly lower than the Xbox One and reeks of upscaling. This is to be expected given that even older games like Call of Duty rendered natively sub-720p on the Xbox 360, and such titles were actually upscaled to HD resolutions. It would seem highly unlikely that the Xbox 360 would have matching resolution of the Xbox One version, as it would also be a real embarrassment for Microsoft if that were the case. Now I'm sure a lot of you are curious as to how well the game actually plays, because, whenever we were comparing games like Battlefield 4 or Call of Duty: Ghosts and revealed that they looked and performed better on the PlayStation 4, it was argued that gameplay was more important than graphics. 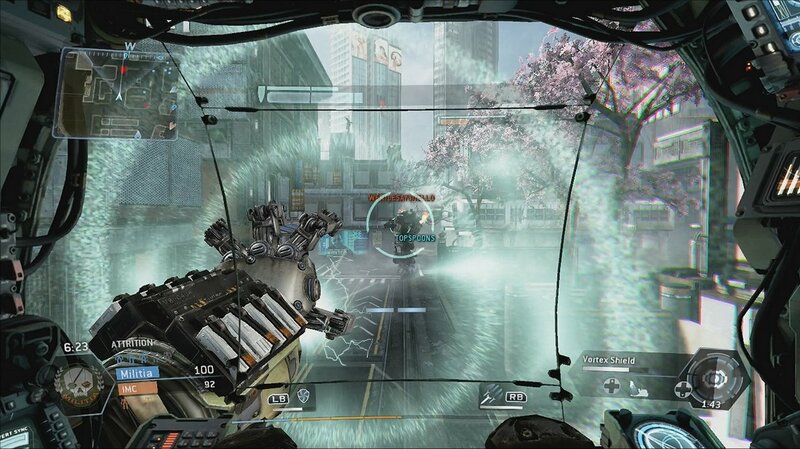 So in this case, we need to see how well Titanfall plays on the Xbox 360. Check it out below. That's not too bad... it's about as expected. Of course, we won't know entirely how well the game performs until it's put through the trenches and run through the pixel-counting gamut. For now, I would say that anyone opting to pick up a copy of Titanfall for the Xbox 360 is only getting a moderately visual downgrade from the Xbox One version. In essence: If you've been waiting to see whether or not Titanfall was worth buying on the Xbox 360 or worth picking up an Xbox One for the game, you can see above that the biggest factor that you're giving up is texture resolution and some differences in frame-rate. So is the 20 or so frames and higher texture output worth the $450 that you can pick up the console and game for from Target? Well, that's a financial decision you'll have to weigh depending on how much graphics matter over gameplay. If they didn't matter too much to you between the PS4 and Xbox One, I doubt they'll matter all that much in this scenario.